DVD to MP4 Converter for Mac is designed especially for Mac users to enjoy their DVD movies on MP4 players. You can completely convert DVD to MPEG-4 and MP4 AVC with excellent output quality and highest conversion speed. It not only allows you to preview the movies before converting, it also enables you to customize video and audio quality, video size and audio channel to get your ideal output effect. 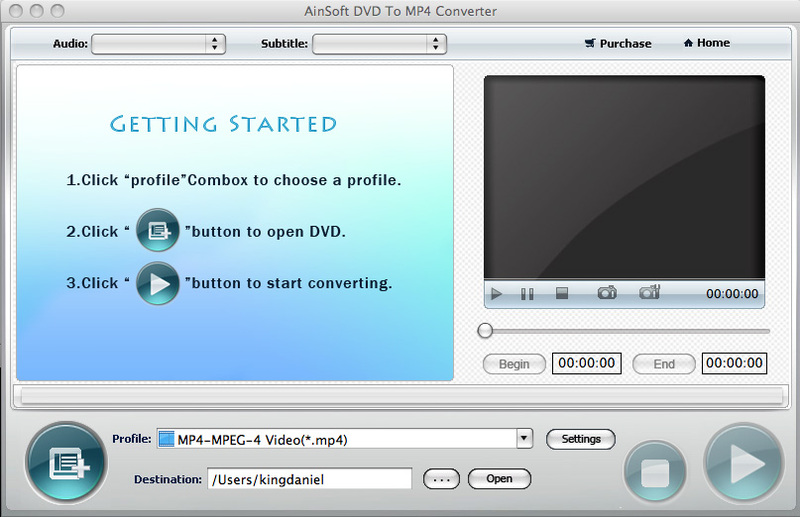 DVD to MP4 Converter for Mac can be used as a video player because we can preview the movies before converting. The quality and definition of the movie that played through preview window is as perfect as the original ones. 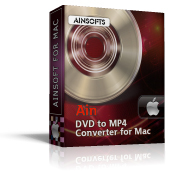 This is an advanced and powerful DVD to MP4 Converter for mac with excellent output file quality and highest conversion speed, no plug-in, no virus, so you can install and use it without worrying about anything. Mac OS 10.5, 10.6 or above.